Clearly this is a game of very senior numbers, so here’s some more. It will accelerate from 0-62mph in less than 2.5 seconds, 0-124mph in less than 6.5 and 0-186mph in under 13.6. Take a moment to let that last one sink in. That’s 2.9 seconds faster than a P1 and a second quicker than the Veyron Super Sport, bearing in mind that at 186mph a second equals a lot of fresh air – 83m of it to be precise. Then there’s the top speed, which Bugatti has limited to 261mph – a token 3mph more than the Veyron Super Sport. 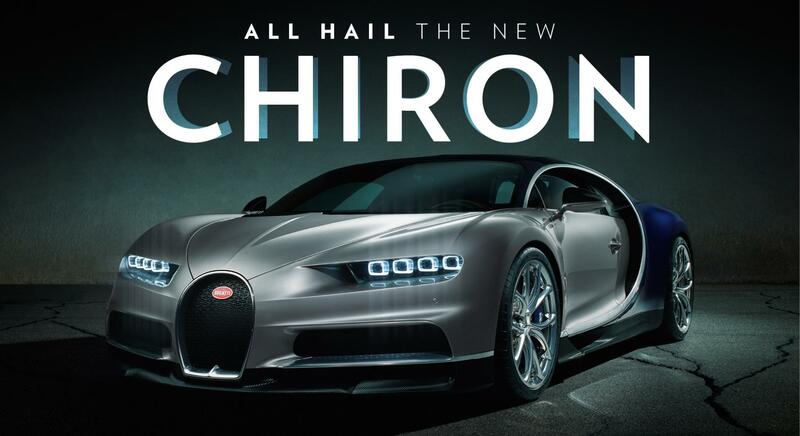 The specially-developed, wider Michelins can take more, Bugatti says, and will be used for a Chiron’s record-setting attempt, which is expected to surpass 270mph, but the limiter is a “safety measure for road-travel”. Euro NCAP will be delighted.